Access by: On disc 1, go to extras; right click twice on "Don Muraco vs Jimmy Snuka"
Access by: Go to chapters page 1 on disc 1; right click twice on "Bruno Sammartino and Larry Zbyszko feud". 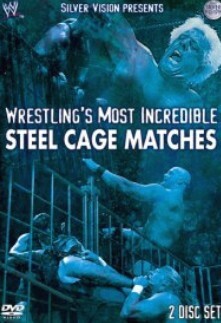 Access by: Go to chapters page 1 on disc 1; right click twice on "Ric Flair vs Ronnie Garvin". Access by: Go to extras page 1 on disc 2; right click twice on "Bret Hart vs Owen Hart".